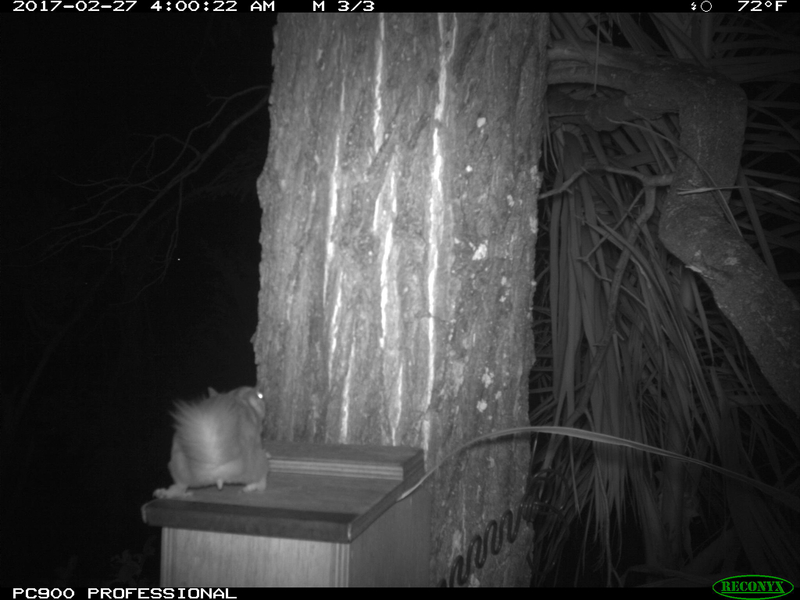 We are very pleased to see, via our motion camera, that a squirrel glider has recently taken up residence in one of the nest boxes at our Sustainability Centre in Carindale. It’s the first time that we’ve noticed this particular nest box being used. 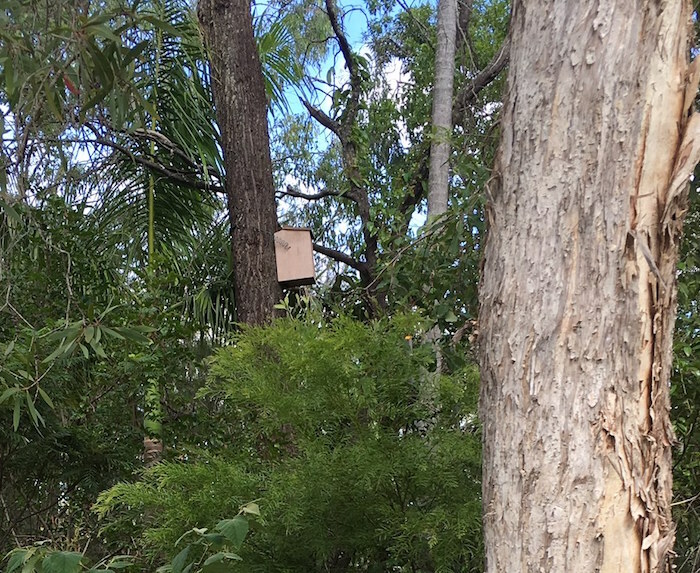 There’s a squirrel glider family using another box nearby. 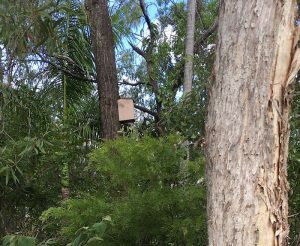 We recently received a Brisbane City Council environment grant for rehabilitation, planting and nest boxes in the Reynolds St Park across from the B4C office. 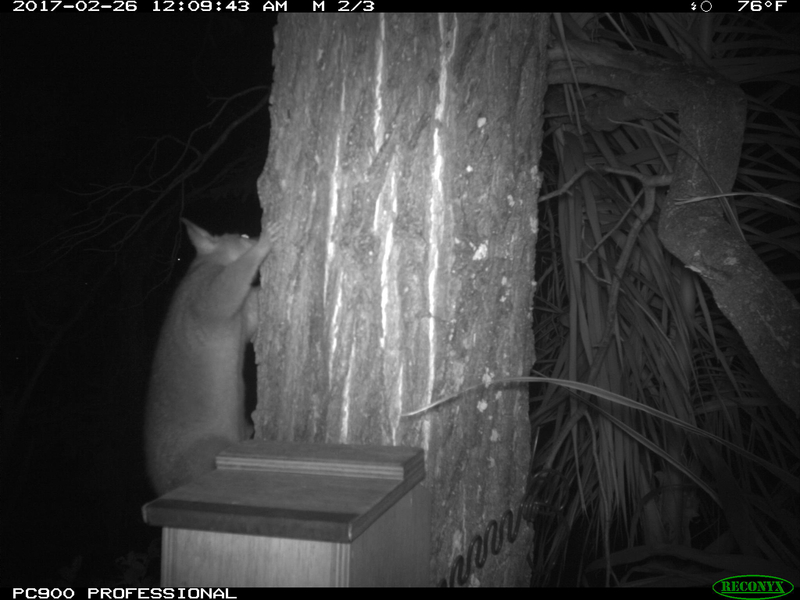 Our photos confirm there are squirrel gliders in the area and future works will assist them. squirrel glider, revealing that he’s a male! 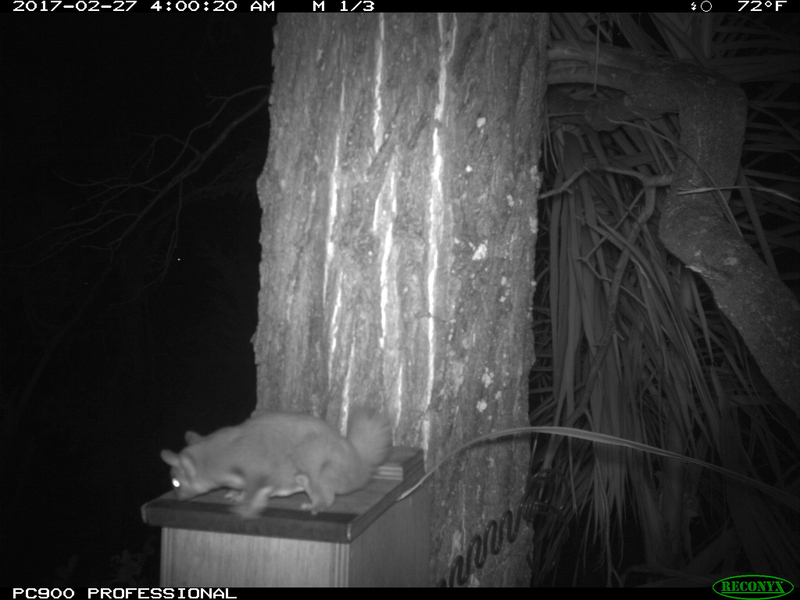 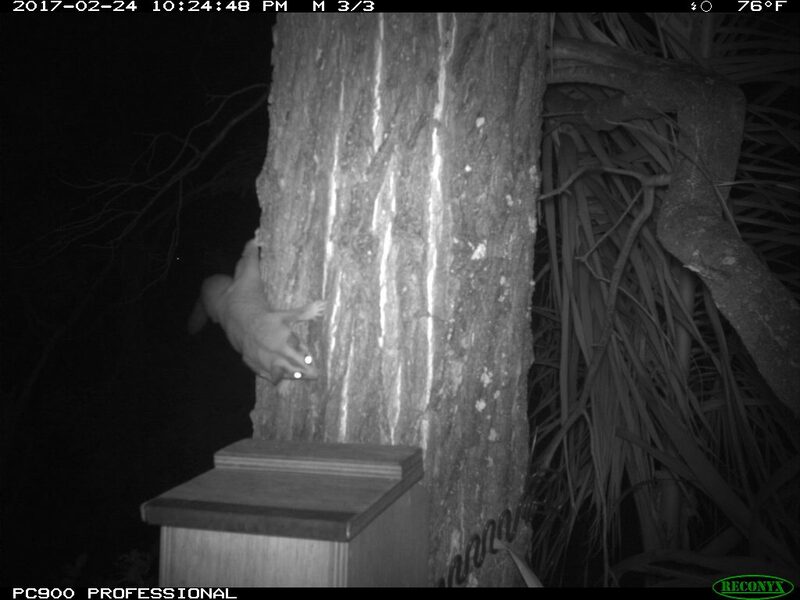 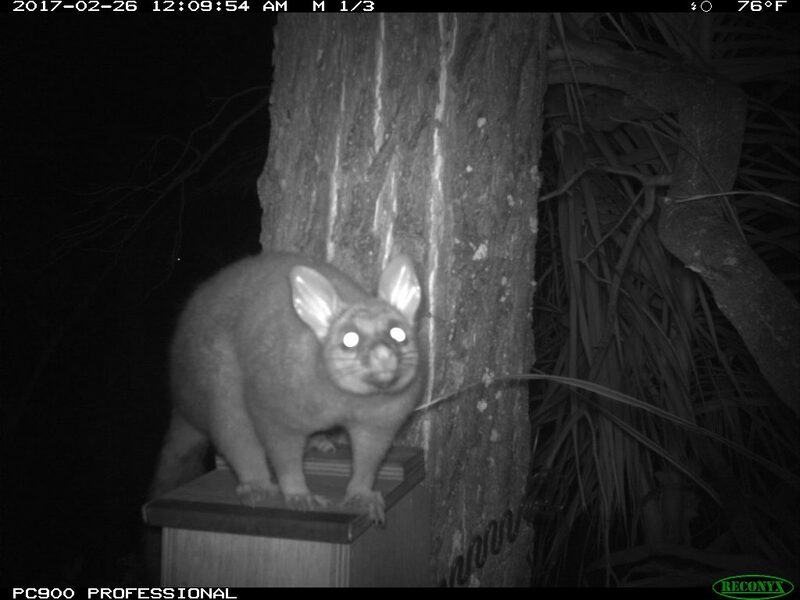 nest box, possum, squirrel glider.